Having Your Bit of Cake and Eating It Too? 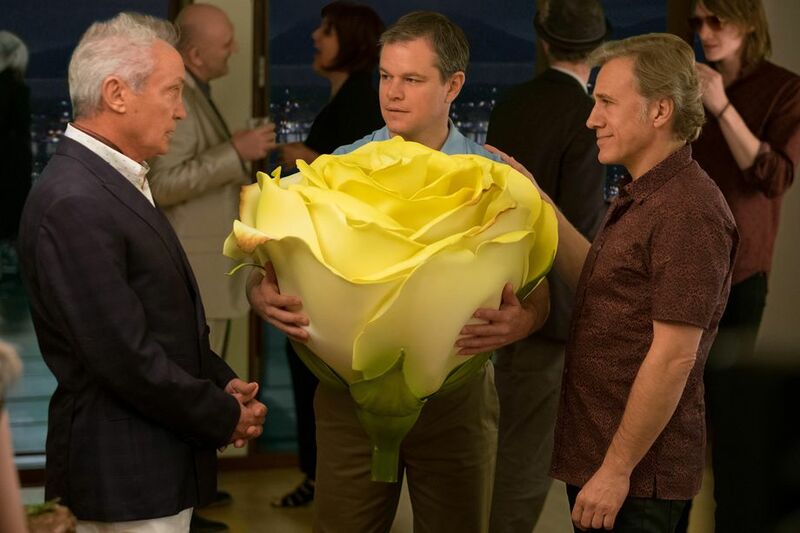 Downsizing, the film by Alexander Payne, which follows Paul Safranek (Matt Damon) as he decides to shrink himself to 5 inches tall and moves to the downsized colony of Leisureland, had great promise as a conversation starter about sustainability, and in some ways it succeeded, but in many ways it reinforced the same myths society regularly perpetuates. First off, there’s the classic problem of the rebound effect. If a person moves to an area where he can sell off his car and get around by bike, his ecological footprint will shrink. Except, now that he spends less on transportation, he ends up spending those savings on other goods, and in the end may have an even larger ecological impact. This is known as the rebound effect. In shrinking down to 5”, we’re talking about a reduction in consumption by a factor of 14, assuming Paul Safranek started at about 5’ 10”. This is even better than the Factor Ten reduction called for in the 1990s. Of course, that’s the ideal, not the reality. As people shrink down, their desires grow significantly—in part primed by the marketing of becoming small in order to live large. On a tour to Leisureland, Paul and his wife see a presentation where one of the residents shows off his McMansion and talks with his wife about the new designer jewelry she just bought. If the majority of middle class Americans shift to these nouveau riche consumption patterns, their footprints will quickly creep back up. Perhaps not to their starting points, but certainly a large chunk of the eco-efficiencies of shrinking people down would be lost to expanded luxury consumption. So wouldn’t it be better to just get people to consume differently in the first place? In an early scene, the researchers show the one bag of garbage produced by the first colony of 36 volunteers that was produced over 4 years. But later, when we see that colony, it is an ecovillage—consisting of green roofed traditional Scandinavian houses, horses (shrunk down) for transportation and agriculture and very much a low consumption living model. How much garbage would this community have actually produced at full-scale? Not much more, in all likelihood. Probably 14 bags (since we’re talking a factor of 14). So it’s not about size at all, but sustainable lifestyles. Of course, the question is how do you market a sustainable lifestyle? In our consumer culture, we tend to consume our solutions—whether to environmental challenges (renewable energy not degrowth); to obesity (diet drugs or bariatric surgery not giving up ultraprocessed foods); to mental health (Prozac not purpose); and so on. Telling people to live a simpler life, in a smaller home, with less stuff and more shared goods sounds like a major step backward—and worse, doesn’t make anyone any money. Perhaps if we could convince builders to set up more ecovillages and cohousing communities and persuade people to move into them (supported with the same budgets dedicated to Leisureland marketing), declines in consumption might actually be more significant than gained from downsizing people. For example, in Germany’s Sieben Linden Ecovillage, residents produce just a quarter of the CO2 emissions per capita as a typical German. Indeed, there is nothing inherently unsustainable about humans, depending on how they consume. Of course, our sheer numbers now probably make the sustainable consumption level so low that very few would voluntarily accept that way of living, thus requiring us to not only reduce consumption but our numbers to get back to a sustainable scale. Along with the rebounding of consumption, if the downsizing transition succeeded, it could enable a larger population before Earth systems started to break down. Ultimately, if the sustainability crisis was the challenge that the Edvardsen Institute was trying to overcome, they should have been investing in cultural engineering, rather than scientific engineering—researching how to normalize a one-child family; how to make it feel natural to live a low-consumption lifestyle; and how to reorient economic and political systems to tolerate zero and negative growth. But of course, that wouldn’t make a very interesting movie. As repeated often in the film, few people chose to downsize for the planet (at least in the American context). Most just want to live a luxurious lifestyle where each of their dollars had 82 times the buying power. The consumer culture—combined with our still-growing population (now at 7.5 billion people)—are the root causes of our sustainability crisis. If we can’t address these, technologies (magical or otherwise) will never save us from collapse. 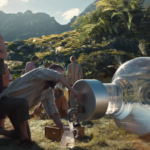 One of challenging aspect that the filmmakers did attempt to address was what downsizing would do to the global economy. One bar patron provokes Paul on the night before he’s to downsize whether as a small person he should have full voting rights or just a quarter of a vote. He complains that downsizing is undermining the American economy: suppressing property prices (as people move to downsized colonies and no one fills the vacant homes), and as demand for cars and other consumer products decline. But the filmmakers don’t go far enough. As the movie ends, about 11 years after the successful experiment was announced to the world, about 3 percent of the world’s population has downsized. If this effort succeeded beyond this level—let’s say 10-20 percent—what would it do to our growth-dependent consumer economy? Would any political leaders dream of encouraging downsizing if it impeded economic growth? Some might, like those whose countries were doomed to drown (Bangladesh or the Maldives perhaps?). Other governments might shrink their prisoners—which happened to Paul’s romantic interest in the film. I could see some countries trying to shrink all prisoners—or perhaps giving them all a choice: shrink and live in a free downsized colony (Australia-style) or serve in jail (in much poorer conditions). But in reality, the growth question is at the center of the dilemma—both within this imaginary universe and in our world. Climate change and other ecological changes are driving us over the cliff, but our economic system drives us to grow ever more. And hence, over the cliff we go. But the inverse of this societal lock-in is even more frightening/interesting to me. Individuals in consumer cultures are already deeply dependent on a fragile complex system for their well-being—a system run by profit-maximizing entities that tend to put their own interests first (to put it gently). Consumers are minimally resilient when systems fail (look no further than Puerto Rico). What happens when an economic crisis hits the companies that run Leisureland or too many people downsize and the global economy tanks, or a natural disaster hits one of these micro-communities? These tiny people are completely at the mercy of external forces—considering they live in their little isolated bubbles of reality. And that brings me to my biggest critique of all. More important than that though, is that already today, the majority of humans are completely disconnected from nature. Urbanites may see a few species of birds, grasses, and trees (in some cities) but the majority of people minimally understand their deep connection with and dependence on nature. Imagine if they lived their whole lives in artificial worlds (in the film, babies were being born in downsized colonies). There’d be no interest, or even an ability to comprehend Earth’s systems and our dependence, with the exception of the most motivated. Ultimately the movie winds down with (slight spoiler) the Norwegian colony heading deep into the Lithosphere to live for 8,000 years until the Earth’s systems restabilize (as methane has bubbled out from the permafrost, thus guaranteeing runaway climate change and, according to Dr. Jacobson, human extinction). It’s an interesting turn—and a very doomy and gloomy way to end this film. It also reinforces the same myths we believe now: a technical solution will save humanity from our past mistakes. But that of course is ridiculous. We can’t grow or invent our way out of a crisis that is rooted in too much growth in population and in consumption. What I left with, as the lights came back on and I found myself in a movie theater for the first time in years (and sitting in a reclining, cushioned chair that my wife said reminded her of the world of WALL-E), was a contemplation on purpose. Through his relationship with Vietnamese activist, Ngoc Lan Tran, Paul finds a purpose, becoming a social service provider to the poor and exploited of the downsized world—helping them to survive as the end of humanity creeps closer. That is where we find ourselves today. The collapse of consumer civilization is coming, and it’s hard to see any smooth way through the transition at this point. The question only is how do we prepare now? As I’ve argued here and there, we need ecomissionaries that can help those in need—the casualties of the consumer culture—while bringing about an ecological cultural transition. Can we model a different way—complete with an ecocentric value system that puts Earth back at the center, while also slowing down our current damage, e.g. normalizing smaller family sizes and lower consumption levels? Can we spread a philosophy that does all this and provides people with the skills necessary to survive the collapse? If we’re lucky, we can make it through the ecological transition and even grow an ecocentric culture from the ashes of civilization as Gaia and human civilization stabilizes. Of course, an ecomissionary movement will take more than serving meals in to-go containers to poor people, but it certainly stands a greater chance of success than shrinking people, or even our current fantastical plan: shifting to a renewable “green growth” economy. Erik Assadourian is a Senior Fellow at the Worldwatch Institute, sci-fi fan, and director of the Transforming Cultures project. Puerto Rico: A Potential Experiment in Degrowth? 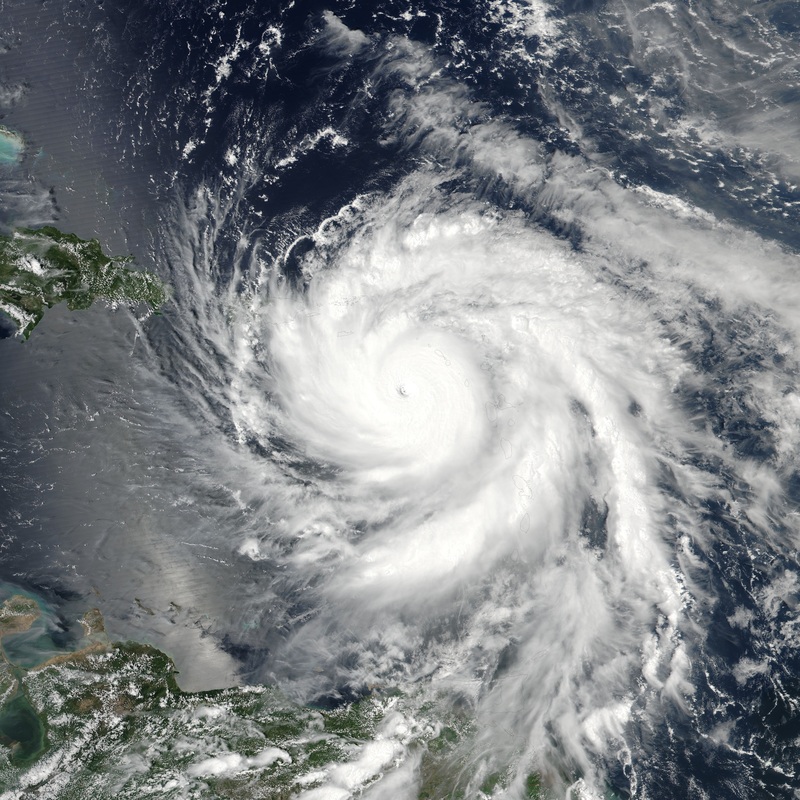 Hurricane Maria over the Leeward Islands near peak intensity and approaching Puerto Rico on September 19, 2017 as a Category 5 hurricane. I’m sure that some will criticize the insensitivity of the timing of this essay. How can you talk about Puerto Rico, climate change, and degrowth at this tragic time? But what time is better than now? There are only going to be more disasters and more tragic times ahead. And if after each one we spend billions on rebuilding costly infrastructure, the resulting carbon emissions are going to contribute to disasters elsewhere in the future. So when better than now to raise this—before billions of dollars are spent rebuilding Puerto Rico (and Houston and Florida too) in the same unsustainable, unresilient way that consumer economies have pursued thus far? Perhaps the island’s debt crisis combined with this hurricane offers the perfect opportunity for Puerto Rico to develop in a different direction. Perhaps Maria can serve as the start of Puerto Rico’s “special period” where a simpler, more equitable, more sustainable pathway—and yes, poorer in consumer terms—is chosen. In other words, could this disaster serve as the trigger of an intentional redirection of the island’s development? Could Puerto Rico degrow, and in the process bring about a more sustainable society? First of all: why should Puerto Rico degrow? The social and ecological costs of our fossil-fueled consumer culture are apparent—in disease burdens, in obesity rates, in CO2 emissions, and in other ecological costs. Choosing to move away from the consumer economic model could reduce obesity and connected disease burdens, reduce ecological impacts, reduce the stresses of modern day busy-ness, and help rebuild community as people once again work together in community and create webs of interdependence. Along with requiring a strong state response during the crisis period (food rationing to prevent hoarding for example), this transition also required bold innovations both technological and cultural, such as converting all green spaces into small-scale community gardens. Could Puerto Rico act as boldly? With a population of 3.4 million, and a higher density than Cuba, it wouldn’t be easy, but it could be possible (particularly as some Puerto Ricans will surely choose to defect from this new path and move to the mainland and as no embargo would mean access the most appropriate technologies to make this transition). So what exactly could be on the table? With current estimates suggesting power might stay off for 4-6 months and the Power Authority already bankrupt, perhaps electricity should be rethought altogether. How much do households really need? Solar hot water could provide (very cheaply) hot water and a few solar panels could provide basic electricity requirements for basic lighting and cell phone charging. Air conditioning certainly can be let go. Is refrigeration necessary? This is a technology that feels like a necessity but hasn’t been around that long. Could people forego it (or at least share fewer refrigerators among communities)? Even if not, there are refrigerators available that use very little electricity—100 watt-hours a day—for example. Many other consumption patterns could also be rethought—down to even how housing is designed. But more important than these changes would be macro-economic changes. How would Puerto Ricans sustain themselves if not as cogs in a consumer economy? Many Puerto Ricans could return to small-scale farming, converting yards, roadsides, soccer fields, schoolyards, and everywhere else into smallholder farms and community gardens. Others could be employed in restoring and expanding remaining forests, cultivating sustainable agroforestry crops, and in creating wetland buffers along coastlines. Many could also be trained as community sustainability and resilience educators to facilitate this transition. Others could be trained as family planning nurses to help bring down the population to a more sustainable level for an island that over the decades will be shrinking in area as sea levels rise. The tourism industry may also flourish in this restorative, idyllic landscape—particularly as the world flocks to Puerto Rico to learn how to implement these changes in their own societies. And of course, this is not only about ‘consumer preference.’ One of these models is ecologically restorative, while the other is rapacious and unresilient and will cause suffering to others elsewhere—both now and in the future. Ultimately, we either start making these difficult considerations or eventually after the second, third, or fourth leveling of a nation, the funds to keep rebuilding it will simply disappear. And those nations will be far worse off than if they had taken the more sustainable, less consumeristic path. What if Icarus’ father—knowing his son would fly too close to the sun—had made the wings he designed more resilient? What if he had used bone and string and not just wax to bind them? Would this ancient myth have turned out any differently? Probably not. Icarus would have simply flown closer to the sun before the sun destroyed his wings—perhaps igniting them on fire rather than just melting the wax. And so the boy would have fallen even further and have been crushed even more brutally by the onrushing wall of ocean below. Let’s apply that question to today. What if we make our globalized consumer society more resilient? That is to say, what if—as more people in the sustainability community are advocating—we make our economic and social systems more able to withstand the inevitable shocks that come with an ever larger human population living within a destabilizing Earth system. What if we build future coastal homes on stilts. And invest billions of dollars and massive amounts of natural capital (in the form of cement and embodied fossil fuel energy) in sea walls around cities like New York and New Orleans. And we even genetically modify crops—even livestock—to withstand drought and heat. What happens then? We fly higher, we grow bigger, and our inevitable crash into the sea is delayed temporarily. But as with Icarus, the crash would be made far worse. These technologies may delay civilizational collapse a few decades. If that’s the difference between 2030 and 2050, that might mean a peak population of 9.4 billion instead of 8.3 billion, a number far harder to sustain—even without the productivity losses that will come with a changing climate. This delay might also translate to an overall temperature increase of 5 or 6 degrees Celsius rather than just 3 or 4 degrees, which could mean the difference between meters and tens of meters of sea level rise and the difference between millennia of misery and just centuries. Instead, let’s learn the lesson that the myth of Icarus is supposed to teach: avoid hubris. Do not fly too high. Acknowledge limits exist, including the keystone limit that infinite growth is not possible in a finite system. This isn’t an easy lesson—especially for a business community seemingly locked into a growth-dependent system. But it can shape the way the sustainability community discusses and advocates for resilience. No sane person should be advocating for a more resilient growth-centric society. That’s the very worst scenario we can have, because that’ll allow this economic system to disrupt more of Earth’s ecosystem services before its eventual collapse. Instead the pursuit of resilience should be fully embedded in a degrowth paradigm, ensuring that programs that work to bring us back within Earth’s limits—and minimize catastrophic climatic changes—also help us weather those changes with as little suffering as possible. So let’s ask the crucial question then: what gets us closer to living within planetary limits while simultaneously making us more resilient? Some examples: Rebuilding local economies and community food self-sufficiency; finding ways to rapidly accelerate small scale energy production investments (but planning for a far lower electricity usage norm than what we currently use); investments in public infrastructure like bicycle sharing systems; and most importantly cultural changes that denormalize unsustainable forms of consumption: luxury travel, pet ownership, daily portions of meat, sub-arctic levels of cooling in the summer, and so on. Yes, I recognize this isn’t the technological utopia that futurists promise. There will be no robot slaves to make living easy; no intelligent computer operating systems that simplify our lives and also double as romantic partners for the lonely. Life will be harder—humans will probably labor more, including in simple day to day chores, but hopefully this simplification will prevent dystopic futures portrayed in movies like Soylent Green or Snowpiercer. Naturally, we’d use some high technologies—appropriately: solar panels on tops of homes for example, but probably not in such densely concentrated arrays that they incinerate birds flying overhead; antibiotics—for life-threatening diseases, but not in ways that make bacteria more resistant (or should I say more “resilient”? ); bicycles; zero net energy buildings; family planning aids; composting toilets; wind turbines—perhaps once again for moving water, grinding grain, and sawing wood more than for producing electricity; and the list goes on. But a lot of modern luxuries would be phased out. The challenge is ensuring that all our efforts to become more resilient make us more sustainable—and vice versa. But even if we fail at that, we should still work to stop any ‘resilience’ projects that serve to extend the reach and robustness of the consumer society. That, at least, may help cushion our eventual fall when we crash into the proverbial sea. Erik Assadourian is a Senior Fellow at the Worldwatch Institute and co-director of State of the World 2013: Is Sustainability Still Possible? He writes about raising his son to survive the collapse of civilization at Raisinganecowarrior.net. I had a lot of fun thinking through this. Though in truth, I would need just a bit more information before I could truly make my choice. Here’s my question: If I chose to go backwards in time would I get to influence the past, possibly even preventing the ecocidal present I’m now part of (kind of like that sci-fi show Continuum but set in Colonial America rather than modern-day Canada)? Perhaps I could become some sort of prophet that spreads a new ecological philosophy so that we never go down the suicidal grow-until-we-crash path. Possibly I could selectively introduce vaccines and antibiotics and sanitation—the best parts of the industrial revolution in my opinion—but decoupled from all the bad forms of progress that grew in parallel to this public health revolution. Or maybe I’d simply be shot or jailed as I tried to implement these changes. By 1714 the ideology of growth was well rooted and let’s be honest, I’m not sure how one would go from penniless time-immigrant to influential shaper of the future. If I was lucky, maybe I could sell enough future knowledge to buy up some of Manhattan before the island’s real estate market really took off. But probability of success aside, if you told me that there was any chance at all, I think I’d take it. But let’s then assume the answer is no. That time is not linear and all is already as it ever will be. So if I went back in time, then that was always the case and I’ve already influenced it and it turned out as it turned out (You still with me? If not read here). In that case, I’d go forward. Certainly not because I think I’d be traveling to some sort of happy Star Trek future but just because I’m damn curious to see how the coming centuries unfold. Call me suicidal if you will—the odds favor that if I left from Washington, I’d end up landing in the ocean (300 years from now I’d bet all the Manhattan real estate I bought in 1714 that Washington is underwater as Western or possibly all of Antarctica will most likely be ice-free by then). Or maybe I wouldn’t even be on a planet with a breathable atmosphere any longer. Or maybe I’d die from radioactive fallout still floating in the air from the nukes detonated during World War III. Then again, if the collapse was slow and controlled rather than rapid and rabid, I might arrive thinking I pushed the “Backwards” button instead of the “Forward” one. With families farming little plots of land, dressed in home-tanned leather pants and homespun cotton shirts. But I’m sure a few minutes later I’d notice the well cared-for rifle or pair of binoculars—a family’s prize heirloom that has been well-used and passed on for generations. And once I turned my eyes toward the horizon, I’m sure I’d see some sharp angles of ruined skyscrapers hidden amongst the trees. But is there any chance I’d see some sort of biomimickry-cradle-to-cradle-solar-organic utopia? I highly doubt it. While several chapters bring up the importance of hope in motivating us to build a sustainable future (“optimism makes us bigger,” blathers Alex Steffen, and Barbara Kingsolver has a whole essay on “How to Be Hopeful”), let’s be honest. More of the chapters—from Thomas Friedman’s essay “Too Many Americans?” to Bill McKibben’s “Global Warming’s Terrifying New Math”—reveal that the window for getting to a high-tech sustainable future has closed (if it was ever open in the first place). Instead, we may get to a sustainable future–but through a painful process of degrowth (with how painful that process being determined by who leads it–people or the planet). Of course the point of the book is that global environmental politics, wielded well, may help prevent our eventual crash, or at least help steer our descent so the future looks more like Colonial Williamsburg than The Planet of the Apes (the original not the crappy remake). Let’s “hope” Nicholson and Wapner are right. Erik Assadourian is a Senior Fellow at the Worldwatch Institute and is teaching a course on Environmental Sustainability & Resilience at Goucher College this winter. And the even rarer Shell Death Star commanded by Shell CEO Darth van Beurden. 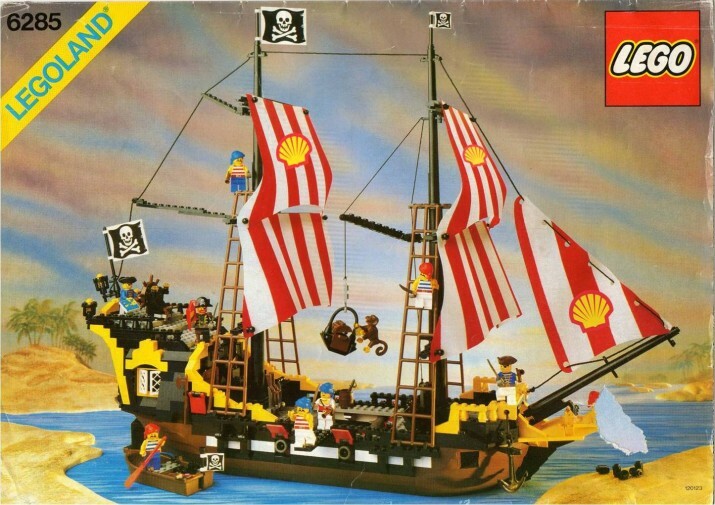 Well, as you might have heard, LEGO has recently renewed its partnership with Shell, producing a new line of Shell branded LEGO sets. Greenpeace’s cartoon and campaign raises the important question of whether LEGO should partner with an oil company or not. But without too much reflection it seems clear that this type of partnership is not appropriate—for the very simple reason that LEGO blocks imprinted with the Shell icon help create a positive association in children’s minds between Shell and the enjoyable hours spent playing with LEGOs. The more positively oil companies are viewed (at a primal, deep brain level) the harder it’ll be to convince people that fossil fuels (and the companies that profit from their extraction) are not compatible with a survivable future. So in other words, yes, Shell—and LEGO through its partnership—is polluting our kids’ imaginations. “Ahoy maties! Let’s go find some new offshore oil deposits to exploit!” cries out Captain van Beurden from the crow’s nest. So should parents stop buying LEGOs? Notice that not even Greenpeace suggests that—LEGO is a powerful brand, one that kids love. So parents would be reluctant to abandon this reliable brand, let alone try to explain to their kids why they can’t play with their LEGOs anymore. Probably why Greenpeace simply encourages parents to sign this petition to LEGO. 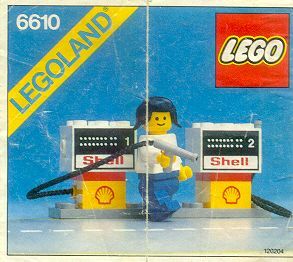 Perhaps enough parental anger will make LEGO reconsider whether this brand taint is worth the $116 million its deal with Shell is estimated to be valued at. But then again, considering what LEGOs are made out of, I don’t imagine LEGO is really averse to oil drilling and might as well find a partner to make its company even more lucrative (at least until the end of the fossil fuel era takes it down). But yes, parents should probably think twice about supporting LEGO and honestly, all toy brands. My son, Ayhan, is only 2 and already we have two big boxes of toys (and that’s with aggressive efforts to discourage people from buying us any new stuff). The key for me will be to redirect Ayhan beyond the exaggerated period of extended childhood that Americans prefer and get him playing with/building real stuff sooner. Why assemble LEGO sets when you can assemble a meal to serve to your family? Why arm a hundred LEGO knights when you can build your own bow and arrows? Why wage LEGO battles when you can hunt down a squirrel and make stew from its meat and a pouch from its hide? Yes, Ayhan is a few years from that, but by six he should be a competent squirrel hunter or at least a squirrel trapper and at that point hopefully any LEGOs we’ve accumulated will be collecting dust in the closet. I admit all that sounds primitive, but then again, primitive skills will probably be an integral part of the post-oil, post-plastic, post-LEGO future that’s speeding toward us like a derailed LEGO train (probably loaded with unreinforced Shell oil tank cars). “All aboard! Next stop: New Miami” (since old Miami will be long submerged by then). A few weeks back I attended an “Accelerating Sustainability Forum” at the US Chamber of Commerce. While there was lots of rosy talk about sustainability, in truth, most of the focus was on growth, even though it’s becoming increasingly clear that true sustainability is going to require a massive scaling back of human enterprise. In the Guardian’s Sustainable Business blog I tried to grapple with that conundrum. While climate change was discussed openly in the Chamber’s Hall of Flags – a feat in its own right, given the state of the climate conversation in America – many of the businesses in the room were clearly still drinking Jeffrey Immelt’s “Green is Green” Kool-Aid. It’s hard to fault people who are searching for the right lexicon to convince corporations to prioritize sustainability, but perhaps the business case is not the solution. Because, let’s be honest: as the world goes to hell in a hand-basket, there will be huge opportunities to profit off the decline, whether on skyrocketing food and energy costs, private security services, or ecosystem services no longer freely provided by nature, such as water treatment and pollination (robotic bees anyone?). Let’s explore an alternative way to frame sustainability, one that might have better outcomes when appealing to companies’ sustainability officers. Rather than focus on the profits that could be reaped in the pre-end [of the world] period by businesses and investors that plan appropriately today, let’s consider that, even for the best planners, the end will still be filled with unimaginable horrors, ones that they, their families and their companies probably won’t survive. A nice coat of greenwash if I’ve ever seen one (photo courtesy of Jen Bojan via flickr). However, in truth, I don’t think this type of far-sighted planning will succeed–as the example on the paint company Benjamin Moore I discuss in the piece reflects–so I conclude with the obvious point that regulation (or perhaps I should say “governance” and give a shout out to State of the World 2014) will be essential to save companies from themselves. So does that suggest that the only way to save the free market is to make it less free? Do companies need regulators to proactively step in to make the sweeping changes necessary to organize the economy as a subsystem of the Earth system, rather than assume the inverse? Probably. But in truth, the only way that will happen is if some really smart companies enable that political leadership, using their influence to shift the focus to stopping the end of the world rather than just profiting in the pre-end stage. Below is an essay I wrote for Adbusters’ “Big Ideas of 2047 issue.” It starts with the premise that we didn’t intentionally degrow to a sustainable future but are suffering through the ecological and economic collapse that seems more probable every day. Enjoy! Very few people will be able to afford a car any longer. Public transportation will shrink as other government services do. Getting around will become increasingly difficult. 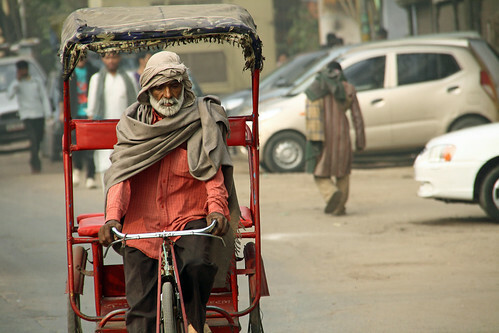 Shuttling people around in a car, small truck or bus would provide a guaranteed income. It’s a tried and true method in many developing countries already. No downside here—teaching is a respectable career in good and bad times. Of course, public schools will probably become even more chronically underfunded, so teaching may become an informal sector job. The job may pay in barter—housing, food, doctor and dentistry services—but you’ll probably get by. And you might even be able to center the curriculum around ecological values. Midwife helping with home birth (Image courtesy of amcdawes via flickr). In boom times or bust, people get pregnant. But fewer people will have health insurance, so they will choose to deliver their baby at home. Not a bad development overall, considering the social and environmental costs of the current birth industry—from America’s 31 percent caesarean-section rate to continuing overuse of formula. Both jobs are relatively secure but do require some training. Not just crops in your front lawn or in the abandoned parking lot on your street, but raising small livestock—rabbits, chickens, guinea pigs and, most importantly, bugs. Shepherding thousands of crickets or mealworms to exchange with your neighbors will provide a good form of barter currency. This isn’t an easy life, especially in a climate-disrupted future, but will be an important part of a robust economic foundation for any family. In the post-consumer era, gone are the days of buying a new T-shirt or chair for $5 at the local Walmart. Most people will be back to wearing clothes until they’re just fabric, and making chairs out of scavenged milk crates. Local artisans will once again make things their neighbors need. The life of the artisan will be pretty secure, since you’ll only be making stuff your community really needs; and satisfying too—as you create something beautiful with your own hands. E. F. Schumacher would be proud. Long hours going through a mix of food waste, baby and pet crap, toxic household chemical residues, and the occasional valuable scrap of metal–it’s not easy or even all that safe. But you’ll be cleaning up decimated landfill sites and providing higher quality materials than are left in most remaining mines, making this both a green and well-paid job. As systems breakdown, more people are going to die. And few will be able to afford today’s “traditional” funeral that costs consumers an average of $10,000. More people will choose to bury their loved ones at home without any of the toxic trappings—casket, embalming fluid, plastic vault, and so on. Being a trained Death Midwife to help families cope, and to navigate the legal hurdles of burying their loved ones naturally, will be a rewarding and useful career path. You ain’t gonna get rich collecting pounds of acorns, black walnuts and dandelion greens, but no matter how bad it gets you’ll have an inside track on surviving. Most people don’t know how to process acorns to make them edible. While they are queuing up to buy the few loaves of bread available at the supermarket, you’ll be making acorn flour pancakes and feeling comfortably full on meal that is higher in nutrients. Foundations may no longer be issuing grants but donations to church communities continue in good times and bad—as these institutions provide community security and emotional support. If the environmental movement were to evolve to focus more on building local fellowship, providing basic social services—daycare, economic aid, free clinics, garden plots—and use these efforts to spread an ecological philosophy, perhaps they’d find the resources necessary to continue their essential work, and more importantly, over the course of the ecological transition help spread a new eco-centric culture that could help provide a more sustainable model for life on a hot planet. You might have considered this when you had a comfortable salary to support the efforts, but when you had that comfortable salary, the risks probably didn’t seem worth it. Now that Earth’s systems are rapidly unraveling and a corrupt nexus of corporations and governments continue to dig out fossil fuels from a warming Earth, perhaps it’s time to consider more radical strategies. Maybe join up with a few other jobless friends, squat in an empty house in Detroit, write a manifesto, and build a new political party while doing a bit of urban farming? Or even better, run for office and try to recapture the political system for the 99%. It’s not an easy lifestyle but it may pay off in the long-run. On this Christmas Eve, just a reminder of the current state of the world: it’s bad enough that even Santa and his global HQ are threatened, as this Guardian article about the speedy melting on the North Pole reveals. With that in mind I thought I’d recruit our love of Santa to describe a revolution in the toy industry that would get us a ways closer to a sustainable future. Fewer toys, shared toys, and toys that teach ecological wisdom rather than a love of war, the joy of consumptive lifestyles, and how cool earth-ravaging construction equipment is. Even toys that we grow instead of make out of toxic fossil fuels. First, recognizing how full our planet is, why keep producing so many new toys? Instead, why not facilitate ways to better share toys amongst more families? The average toy is only played with for probably less than an hour a day, then discarded rather quickly. So perhaps it would be better to have toy libraries where families could borrow toys instead of buy them. In 2010, there were 4,500 toy libraries distributed across 31 countries. Each of these libraries results in fewer parents buying fewer toys and instead borrowing them – reducing the total number of toys produced, as well as helping children learn the valuable lesson of sharing. If you could put your support behind the global toy library movement, I’m sure it would really take off…. So please Santa, revamp your workshop. Create new product lines that celebrate living in balance with Earth, that are made completely sustainably and sold in ways that encourage borrowing instead of buying. I recognize this is no easy gift to grant, but for someone who can deliver over a billion toys in just one night, I have no doubt that if anyone can do it, you can. And hopefully, once you and Rudolph light the way, other toy companies will follow. Multigenerational Communities or Tent Cities? As the human economy moves back within the limits of Earth’s systems—whether through proactive degrowth or unplanned economic contraction—the residential housing market in overdeveloped countries like the United States will surely evolve. Without planning it could take a similar tack as the former Soviet Union, where the poor were priced out of the increasingly valuable urban core. Or it could look more like Las Vegas or Phoenix during the housing crisis, where people just walked away from mortgages that were suddenly larger than the worth of their homes. Second homes could be abandoned, larger homes traded for smaller manageable homes, and the poorest could end up in tent cities like the one documented in Tent City U.S.A. But hopefully, instead, we’ll work now to make residential neighborhoods denser so that they don’t become unnavigable without cars and cheap gasoline. What strategies could we use to do so? Should we work to add additional generations into family homes, or perhaps build smaller rental homes in backyards like many towns and cities in the Pacific Northwest are doing? Clearly not an either/or strategy. I explore both possibilities in a new Guardian Sustainable Business blog. Read more there. 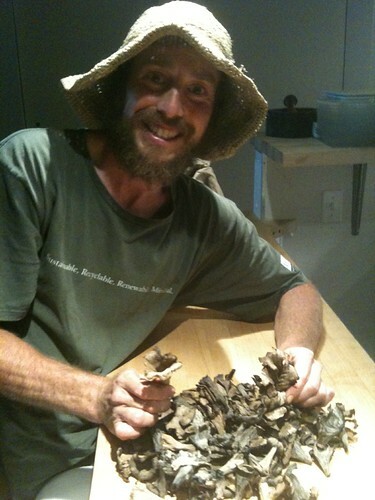 Reposted from Worldwatch’s Is Sustainability Still Possible? blog. In his recent book, The World Until Yesterday, author and professor Jared Diamond explores “what we can learn from traditional societies.” Being a new dad, I picked it up mainly because there is a chapter on parenting. I figured it would have tips on how children have been raised through the ages, rather than modern tips that are so often shaped by marketing and product pitches (just think of Baby Einstein). And I did find some useful points—about child autonomy, about multi-age playgroups and how that facilitates learning, about “allo-parents” (non-parental caregivers who have been mostly commodified in western societies, in the form of nannies, babysitters, and daycare providers). But in reality, I found the book even more useful for its exploration of the challenges of life in traditional and modern societies. The leading causes of death in traditional societies are infections, falling from trees, predators, and getting wounded from hunting weapons and tools (poison arrows and axes, for example). Many of these dangers stem from the fact that to survive, traditional peoples have to take more-frequent risks. To get enough calories, trees must be climbed, scratches from brambles must be endured during foraging efforts, poisonous arrows must be shot, and predators must be confronted when claiming the antelope that the tribe just hunted down. Modern society has its own daily-endured threats, of course. Busy streets must be crossed, cars must be driven (with accidents being a real and significant risk), and dangerous factory work must be done. But caution will help increase the odds of surviving these. And the risks of dying from these dangers are often significantly smaller, which is one reason that populations abandon traditional lifestyles for modern ones (even if other risks come with this transition—soda and fried foods bring new dangers of chronic diseases like heart disease and diabetes). But the difference between these two models is not just what leads to the end of life. It’s that modern livelihoods, unlike traditional ones, are rapidly undermining the Earth’s capacity to sustain 7 billion human beings. So, it’s worth asking the question: rather than facilitating the transition to modern lifestyles (as international development schemes often do), how do we enable those living traditional lifestyles to sustain their lifestyles in ways that they embrace, and also encourage more modern people to adopt these types of lifestyles? As Jennie Moore and Bill Rees note in their chapter in Worldwatch’s State of the World 2013, “Getting to One Planet Living,” in order to live within the planet’s biocapacity, people on average will have to own 0.004 cars per person, fly 125 kilometers per year, have an average of 8 square meters of living space, and so on. Of course, some will still live far beyond that threshold, so finding ways to enable traditional lifestyles for those who choose to live this way will be an essential part of getting to a sustainable future. As Diamond notes, the average lifespan of traditional peoples and Europeans 400 years ago was about the same. Only when a centralized state became able to prevent mass famines, implement public health and sanitation measures, and provide antibiotics did the average lifespan of Westerners grow significantly. So providing public health measures—basic sanitation (knowledge on hand washing and how to safely compost human waste), a traveling field medic, training for traditional healers on how to deal with infectious diseases and providing them a basic store of antibiotics and antivenins—could be a major step in sustaining traditional societies and keeping their members healthy and rooted. Providing basic safety gear (or even better, the knowledge on how to make this gear) to facilitate safer tree climbing might help, too. And perhaps some basic permaculture knowledge that offers a complement to traditional agricultural knowledge to increase the range of calories available (if offered in ways that communities embraced, rather than in ways that came across as neo-colonial). These, too, could reduce mortality, morbidity, and emigration from these lifestyles. Granted, not all governments want traditional societies to be sustained, particularly those communities that may be situated atop rich mineral deposits (just look at U.S. history to see how readily movable native populations are when they are in the way of ‘development’). But globally, there is an ecological benefit not simply to sustain, but to increase, the number of people living traditional lifestyles—not just because they consume fewer resources, but because they can be good stewards of their lands (as Chapters 18 and 19 in State of the World 2013 discuss). Maybe it’s even time to make land in national parks available to those who wish to live more traditionally. I dream of the day when national governments offer land grants for small communities wanting to live off 500 acres of national forest—offering them that land in perpetuity if the community sustains the land, improving its condition annually by active management of the trees, understory, and wildlife. That would be a much cheaper way to protect that land than paying logging companies or forest services to manage it (or firefighters to deal with unmanaged land every few years as massive fires rage). Plus, it would reseed a diversity of knowledge and cultures that may be incredibly valuable as the climate warms up 2, 3, 4 or even 6 degrees Celsius over the next three or four generations. These communities could offer hundreds of small-scale experiments in sustainable conservation schemes and even serve as the front line in helping to transform today’s forests into ones that will survive a hotter future. By facilitating traditional lifestyles now, we can make them into a driving force of the transition to a sustainable future. This may prove a more viable solution than incorporating these peoples into an ever-growing consumer class that will be ill-equipped to deal with the global disruptions that a warming world will bring. This insight comes from Robin Allison, in her Communities Magazine article about Earthsong, a 3-acre eco-neighborhood in the western suburbs of Auckland, New Zealand. Often articles about ecovillages or eco-neighborhoods focus on how they are an oasis of sustainability in an unsustainable society, and Earthsong certainly sounds like that—with parks, gardens, a pond, small clustered homes (to facilitate community), and car-free design. But more important than their design is ecovillages’ role beyond their borders: how they influence the larger communities they are nestled in—whether directly in the neighboring cities and towns, or globally through how they serve as training ground for like-minded individuals who come for eco-living courses, or ideally both. In my own travels to ecovillages, I saw the potential of this broader influence especially in places like the Los Angeles Ecovillage, nestled right in the heart of LA, offering both affordable housing and community to environmentalists but also serving as a hub of local eco-activism—from helping to commission a local park that processed street run-off water to organizing events to get mayoral candidates to declare their green credentials and commitments publicly. The eco-neighborhood is too often the overlooked piece in the puzzle of how to make cities more sustainable and resilient. But this piece is essential as individuals can only do so much (and are often easily manipulated into buying “green” products rather than making the harder lifestyle changes), as can top-down city approaches—as the resistance to recent efforts by New York City Mayor Bloomberg reveal. But it is the energy of the neighborhood that could play the key role both in bolstering commitment of individuals (as they keep up with the eco-commitments of the Jones down the street) and in serving as a counterbalancing lobbying force to help pass bold citywide initiatives (rather than them being killed by industry lobbies or others that may be opposed). Look at this impressive visualization of New York City 50 years from now that the students from the University of Michigan’s Master of Urban Design Program created. As this Atlantic Cities blog post describes, it includes major design overhauls: tidal marshes and bus rapid transit systems, redesign of new skyscrapers and retrofitting of old buildings. It would cost billions and at every step of the way would anger someone—whether architects, builders, industry lobbies, property owners (what do you mean my restaurant needs to be turned into a wetland!?!) and so on. But if neighborhoods were engaged—if neighbors were helping to flesh out the local eco-vision and lay the groundwork (and even more basic: keep the energy and spirits up of community activists who spend day after day fighting for these changes)—the odds of success would increase significantly. So how do we catalyze the neighborhood? Existing self-defined ecovillages and eco-neighborhoods will certainly play a role. They are filled with committed individuals who understand both the need for major changes and for community engagement. But obviously they’re not enough of these out there. So we’ll need other drivers beyond the declared eco-neighborhood—whether that be Transition Town groups, Neighborhood Associations, church groups, Resilience Circles, or informal networks of neighbors who gather regularly (or in reality all of the above). Each of these will not only play a role in the actual greening process of neighborhoods and their town or city, but also help to sow the seeds of cooperation and political energy that will be essential in the process of building a sustainable civilization in the decades to come (or in the worst case, at least help facilitate a smooth and orderly evacuation if their neighborhood is one of the many eviscerated by a changing planet).